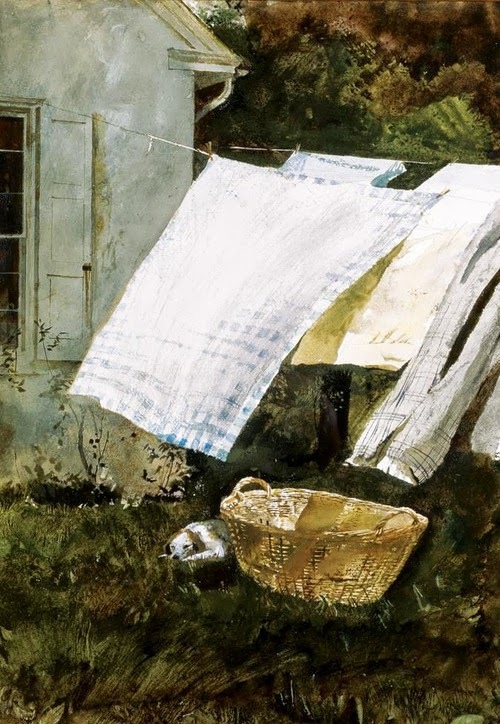 How many of you readers remember the scent of clothes and sheets dried outside in summer? That fragrance is something you never forget. All the fabric softeners in the world can’t duplicate it. In our busy world clothes dryers are something we all use. I can’t imagine hanging clothes out to dry at my stage of life. However, while we are living in London, our flat has a nice washer/dryer combination unit. British machines are very difference from American ones. This one is smaller and takes much, much longer to run a cycle. The dryer often leaves clothes slightly damp. Luckily the flat is well equipped and we have two small folding laundry hangers where I can hang things out to finish drying. I don’t mind doing this at all. It reminds me of my childhood when we always hung laundry outside out of necessity. Even in cold, cold weather. The following poem was written a few years back for a prompt on PoetsOnline (see http://www.poetsonline.org) about laundry. While several poets chose the metaphorical allusions of hanging one’s laundry out or dirty laundry, the prompt evoked in me a sharp image of having to scramble to pull half-frozen clothing off the line before the snow came. often hid, and the cold never left at all. and shirts grew solid and stiff. This entry was posted in meditative poem, poem, Poems, poetry and tagged childhood memory, laundry poem, Mary Kendall, memories, PoetsOnline, winter, winter wash days. Bookmark the permalink. 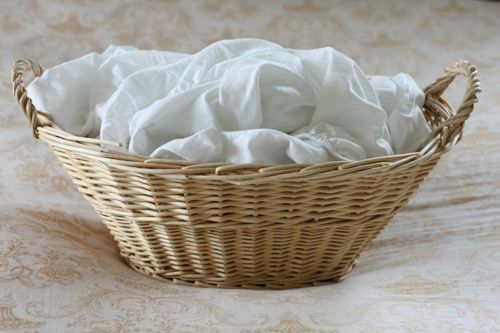 Fresh sheets on a bed straight from the clothesline was the best smell I can remember growing up. The exception might be my mother’s homemade rolls fresh from the oven:) What a great combination to remember. Thanks for reminding us all with such a lovely poem. You are the best! Dear Y, between my poem on winter wash and the one on burnt toast, I have it covered for sensory poems this week! I’m delighted you liked both of them. Your comments are always cherished. Beautiful as always and as always, your words evoke memories. Have read this dear poem over several time and each time an new memory emerges. Mine are not too distant as we hang almost all our laundry in the sunny breezy summer Maine weather. The exception is towels-as we prefer fluffy to stiff although the stiff ones (sans softener) are more absorbent. Since we have several months of monsoon here in India, we hang wet clothes inside on three long bars close to the ceiling in the hall and on folding clothes drying racks in the spare bedroom. The flooring is patterned stone blocks so the water doesn’t hurt it. 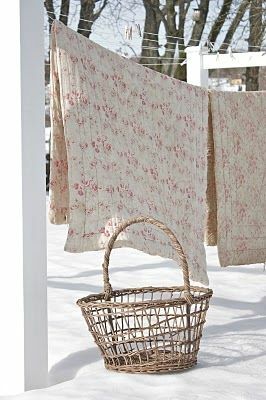 My mother used to hang wash on lines in the basement in winter or rainy weather. In the U.S., I had a washer and a dryer. 🙂 Thanks for sharing, Randy. You’d love the frozen clothes!! this poem evoked many memories:)- fresh scents, cold hands and heavy sheets! Beautiful! Until I left the South, I was the outside clothes hangar and it gave me sacred time by myself and it is true, the clean wonderful smell can only be found by hanging one’s clothes out to dry!